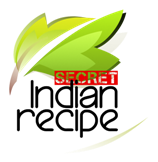 Collection of Indian fusion submitted by home makers, mothers, grandmothers & Indian food lovers.Top Indian fusion from Indian kitchen across various regions of India. Pizza sauce ghar me banaane ka saral tar . . .
Chilli gobi banane ka saral tarika / hon . . .
वजन घटाने के लिये एक पर्फेक्ट डायट रोटी . . .
पावभाजी पराठे बनाने की सरल विधी / leftov . . .